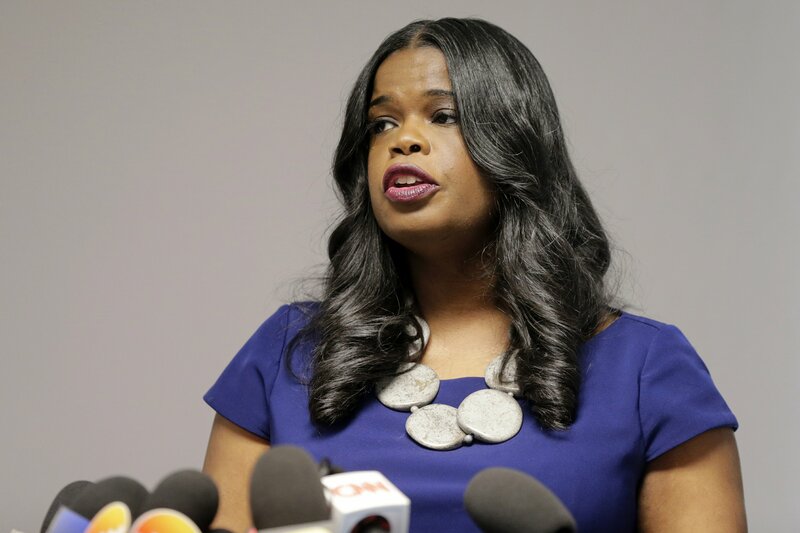 CHICAGO — Cook County State’s Attorney Kim Foxx on Wednesday defended the decision by her staff to drop charges that “Empire” actor Jussie Smollett staged a racist, anti-gay attack in January. Foxx recused herself before Smollett was charged last month because she had discussed the case with a Smollett family member. The case was handed to First Assistant State’s Attorney Joseph Magats. Foxx didn’t directly answer the question when CBS 2 TV in Chicago asked if she believed Smollett was innocent, as Smollett has continued to contend, saying only that the matter was handled properly. She pointed to Smollett forfeiting his $10,000 bond and doing community service in return for dropping the charges. Magats has said that he does not believe Smollett is innocent and Chicago police say he faked the attack. “I believe that the outcome — him having to forfeit the $10,000, having to do community service, based on the allegations, and again the (low level) felony and no (criminal) background, are an outcome that we could expect with this type of case,” she said. She also insisted no one tried to intervene on Smollett’s behalf, despite emails showing that Foxx was contacted by people linked to Smollett about the case. Email and text messages provided to the Chicago Sun-Times by Foxx’s office show former first lady Michelle Obama’s chief of staff Tina Tchen contacted Foxx a few days after the report of the attack to set up a telephone conversation with a Smollett relative. Foxx told the Sun-Times the relative expressed concerns over leaked information that media outlets attributed to “police sources.” Foxx then called Chicago Police Superintendent Eddie Johnson to ask him to let the FBI investigate the alleged attack. The contacts were cited by Foxx in recusing herself from the case on Feb. 13, well before Smollett was charged. Also Wednesday, a spokeswoman for Illinois Attorney General Kwame Raoul said the Democrat is considering a lawmaker’s request to review the prosecutors’ decision to dismiss charges against Smollett. Raoul spokeswoman Annie Thompson had no further comment Wednesday. Republican state Rep. David McSweeney filed a resolution requesting a “comprehensive examination” of the circumstances around the Smollett case. The House would have to approve McSweeney’s resolution. Democrats outnumber Republicans 74-44. And the attorney general is not bound by such a legislative request. Authorities alleged that Smollett, who is black and gay, knew the men and arranged for them to pretend to attack him as a publicity stunt.